These recommendations, published with the research support of the Open Society Foundations human rights program, reflect the key challenges that the International Criminal Court faces in designing an efficient and predictable reparation system that respects victims’ rights, including the lack of overarching guidelines applying consistently across the different Trial and Appeal Chambers, the limited resources available for the identification of beneficiaries, and the lack of existing jurisprudence to suggest which operations of a Victim Trust Fund may be best delegated by the Court to other administrative bodies. 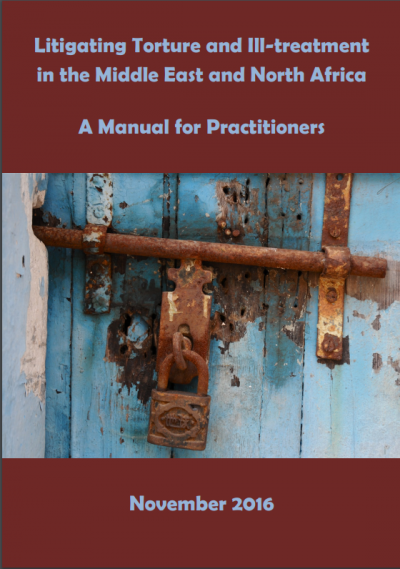 This manual focuses on four case studies in the Middle East and North Africa region - Bahrain, Egypt, Morocco and Tunisia - to analyse how torture and ill-treatment can and have been litigated, and how barriers to justice have been dealt with locally and internationally. The manual also draws out some additional relevant practice and jurisprudence relating to other countries in the region. While national systems differ, valuable lessons can be learnt from the experiences of lawyers and practitioners in those countries which may serve as useful guidance for practitioners from other countries in the region. REDRESS has submitted comments to the UN Committee on the Elimination of Discrimination against Women (CEDAW) on its Draft Addendum to General Recommendation No. 19. Adopted in 1992, General Recommendation 19 identifies all acts of gender-based violence as forms of discrimination, targets its root causes within the inequality framework, and obliges states to take all appropriate measures to end violence against women. REDRESS makes several recommendation to strengthen the Draft Addendum, including the addition of a separate section on victims’ right to redress, in order to emphasise and clarify the nature and content of the corresponding obligation on States to ensure provisions for redress. This report calls for the review of hostile migration law and policy implemented by destination States around the world in response to the global influx of refugees and other migrants. 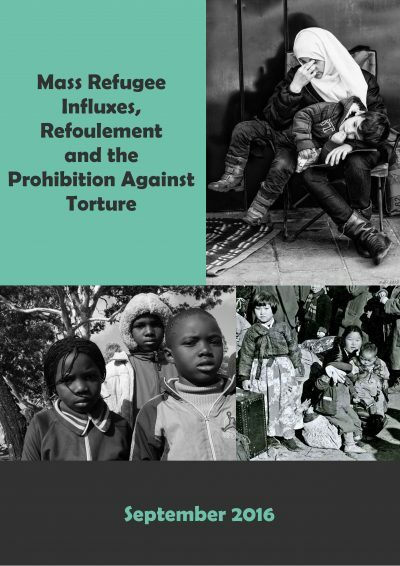 This report finds that these policies are premised on deterrence, rather than humanitarianism or international legal principles, and often put those seeking entry at risk of torture and ill-treatment. In identifying particularly pressing areas for reform, including the implementation of spurious and punitive immigration detention regimes, this report underscores the need to respect the physical and mental integrity of asylum seekers while their claims are being processed. Five years on, the conflicts between Sudan and armed opposition on South Kordofan and Blue Nile continues to have a devastating impact on civilians, with Sudanese forces continuing to attack villages, bomb civilian areas indiscriminately, and block humanitarian aid from accessing affected areas. REDRESS, alongside 32 NGOs and experts, has called on the UN Human Rights Council to support the adoption of a strong resolution on Sudan at its 33rd session in September, including the instatement of a Special Rapporteur to monitor and report on ongoing human rights violations in this conflict. REDRESS also urges Sudan to implement the recommendations made to it by the UN Human Rights Council in 2016. While thousands of people around the world bring allegations of human rights violations to the UN Human Rights Committee each year, the implementation of the Committee’s findings on individual cases remains extremely low. REDRESS, the Centre for Civil and Political Rights, Trial International, and the Human Rights Implementation Centre have made a joint submission to the UN Human Rights Committee to outline a series of recommendations to strengthen the follow-up procedure concerning the implementation of the Committee's findings on individual cases. REDRESS and the African Centre for Justice and Peace Studies have made a joint submission to the All-Party Parliamentary Group on Sudan and South Sudan. The Government of Sudan remains non-complaint with its obligations pertaining to the absolute prohibition of torture, including accountability for torture by officials of the National Intelligence and Security Services (NISS) under the National Security Act of 2010. The UK government must develop a specific human rights strategy for its engagement with the Sudanese government. In particular, the UK government must make respect for human rights - particularly accountability for torture and ill-treatment - a key condition of any future engagement between the UK and Sudan. In this brief, REDRESS provides an analysis of the victim participation framework enshrined in the International Crimes Division (ICD) rules adopted at the High Court in Uganda. The recommendations made herein are based on good practices identified by REDRESS in a study on victim participation in criminal proceedings across 22 countries. The aim of the recommendations is to support the ICD in ensuring that victims can exercise their rights to the fullest extent.